The colour reproduction, contrast and screen resolution is much better than the Camax model, yielding a more realistic picture. Still some functionality and operation issues to iron out but over all a great product out of the box! I will be putting up a video soon, including filming in studio and on-location situations, as well as testing out the screen quality too, so keep updated, and if you have any questions just send them in! I thought it was about time to sort out all of my equipment too, as I have them in bags and boxes all over the place, organization is rather important to avoid losing things! I got this great suitcase from The Olympic Broadcasting Service when I worked at the London 2012 Olympics, so I put my big camera bag, as well as my rig, batteries, and a BlackmagicDesign bag full of cables in it. 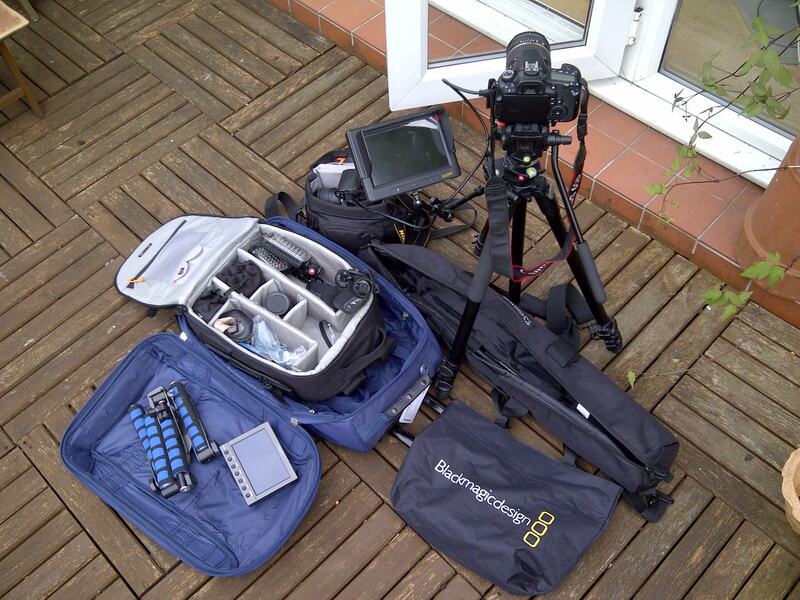 Can't believe I lug this amount of kit around though! (Minus the Nikon in the little bag as that rarely sees the light of day :( ). Give us a share and a shout! Newer PostWant creative and cinematic promotional video, and need to keep costs down? Older PostWhat a weekend + New Hoya Filters!